Europol has warned that Europe can expect more terrorist attacks in the near future, carried out by the self-styled Islamic State group or in its name. 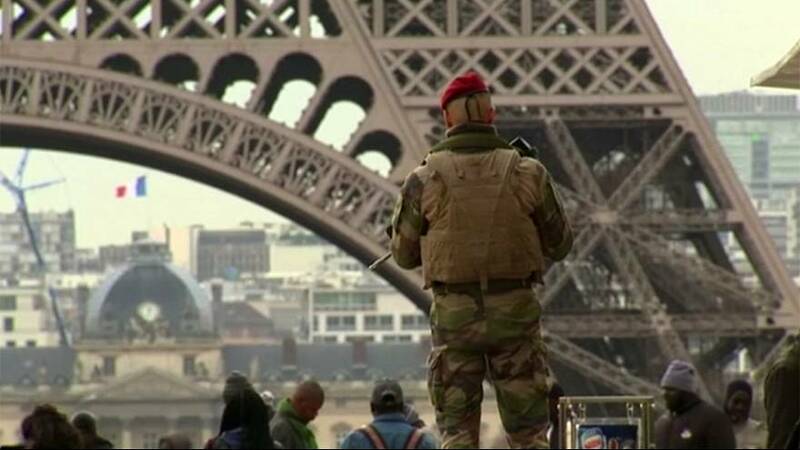 Europe’s police agency believes attacks such as those in Paris and Brussels show that ISIL has already developed new tactics to strike at the West. In a new report, Europol says the threat comes from both networked groups and lone actors, arguing also that the battle is far from lost. “I am afraid it is the reality that more attacks are likely but the responses are also stronger, so I think we will get to stage where we will probably suppress the threat to ISIS (Islamic State group) to a smaller level. We’re not there yet,” said Europol’s Director Rob Wainwright. The report warns that the tactics the extremists deploy in the Middle East – such as the use of car bombs – could also be repeated in Europe. One of the main findings was that sleeper cells could already be on European soil waiting for an order to strike, and individuals may be incited to act. “It would be a big mistake to just believe that the threat is coming from outside. We have a lot of people prone to radicalisation inside Europe,” said the EU’s Counter-terrorism Coordinator, Gilles de Kerchove. Europol says community leaders have a role to play in helping prevent ISIL from recruiting marginalised youths. Increased cooperation between police across Europe is seen as the key to combating the terror threat, and has already led to arrests and plots being foiled.